One of the problems with coming up with the whole Microsoft account idea is that people’s accounts are going to get hacked from time to time. There is a gray area between Microsoft not wanting to force people to create passwords so strong that they can’t remember them and creating a password that should be strong enough for most people not to get hacked. That gray area is resulting in lots of people still getting their Microsoft accounts hacked all around the world every day. The worst thing that can happen is someone steals your laptop and manages to hack your Microsoft account password. There isn’t much in place to stop that thief from just keeping your computer and using it for as long as the police don’t knock on their door. If that situation does happen to you, you can alert the police of the theft and make sure that you are using a tracking program like Find My Device  in Windows 10. You should also try logging in to your Microsoft account as soon as possible on another device and change your password to something else. 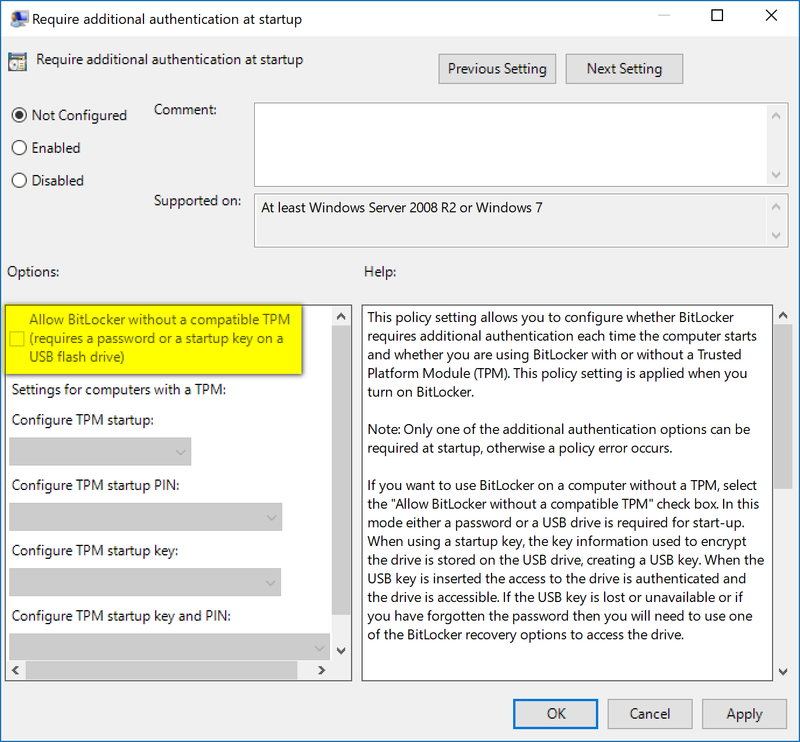 Protecting your Microsoft accounts with a strong password is important if you travel a lot because if someone does steal your laptop, then they can browse freely and use it, regardless if BitLocker is working on the computer or not. You won’t notice BitLocker working on your computer if you have set it up because it doesn’t make people sign in with any additional passwords until something unusual happens—like Microsoft detecting someone trying to use your hard drive from another computer. Apart from that, BitLocker isn’t able to do anything to stop a thief from using your computer if they have gained access to your Microsoft account because they can’t tell who is using the computer. 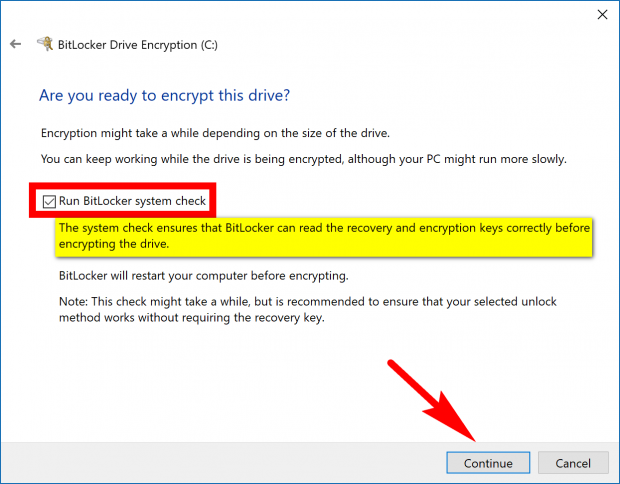 Microsoft owns the BitLocker program so there are some suggestions out there that it isn’t going to be a suitable solution for everybody. The terrorists among our subscribers, for example, might still run into trouble with the FBI because something like the FBI can work with larger companies like Microsoft to still claim your data—you might remember the case involving Apple and the FBI and a criminal’s encrypted iPhone  in 2015. 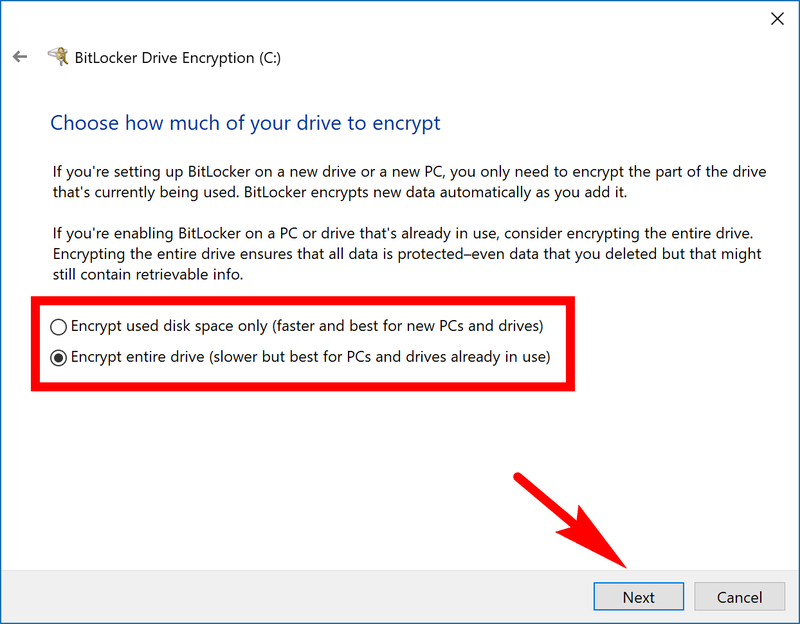 But for all of those just looking to hide stuff from family, friends, roommates, etc., the BitLocker encryption should work just fine. As someone who has spent quite a bit of his time studying Microsoft security, I don’t typically recommend people use full drive encryption. 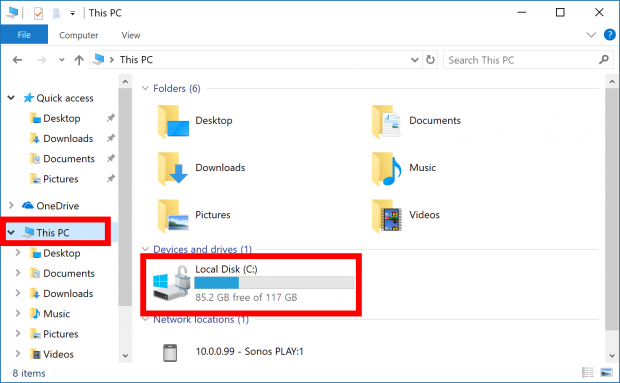 The reason for that is because if something goes wrong with your operating system and your recovery disk or drive and all of your data is encrypted, then you lose that data. Without the key to decrypt the data, you can’t get that data back again. 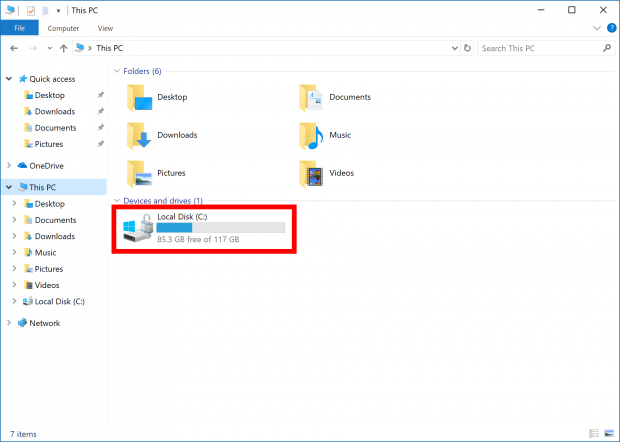 So if you have some data that is very important to you—such as your SSN or tax information—that you don’t want anyone else seeing, I would recommend moving those images to a single folder and then finding out how to encrypt just that file or folder  instead of the entirety of your drive. If you are going to use encryption for the full drive, then you should also research how to backup that drive that is now encrypted with BitLocker to avoid what I mentioned above. When you choose to backup, you don’t want to be backing it up on your drive still because that won’t manage to avoid anything. 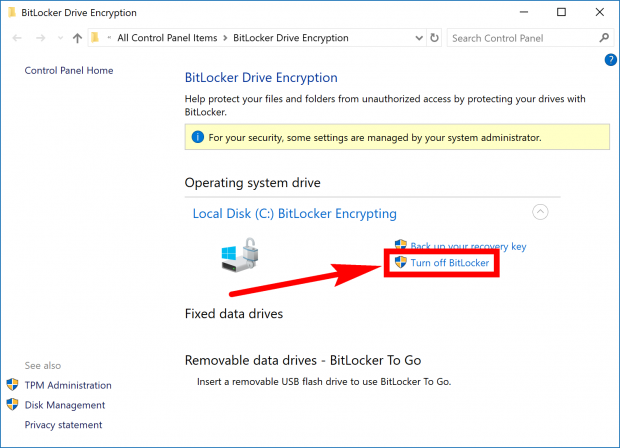 You’ll need to back it up to something like an external hard drive and then encrypt that external hard drive with BitLocker To Go, for instance. Again, you’ll be faced with that same problem of is something were to go wrong with that external drive, but if you back it up to enough places then at least one of them should continue to work for you if all else fails. Other than not being available for Windows 10 Home, BitLocker works pretty intelligently and is set up to cause users next to no fuss. 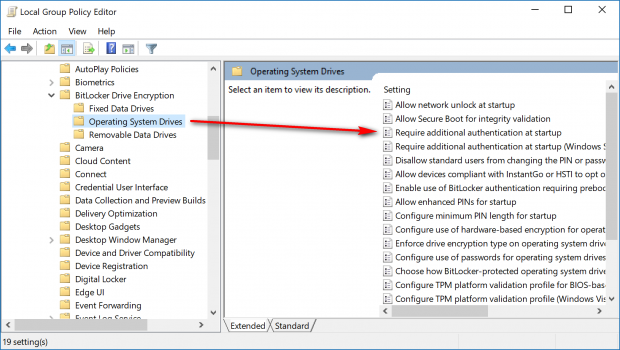 When BitLocker is working for a drive, any new file that is added to the drive gets automatically encrypted with BitLocker. That file then remains encrypted for the duration of its time within that network. 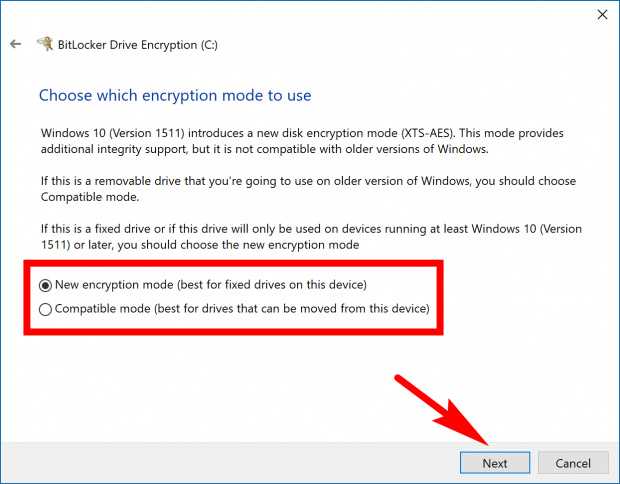 Note: The BitLocker tool is only available for the Professional and Enterprise editions of Windows 10. 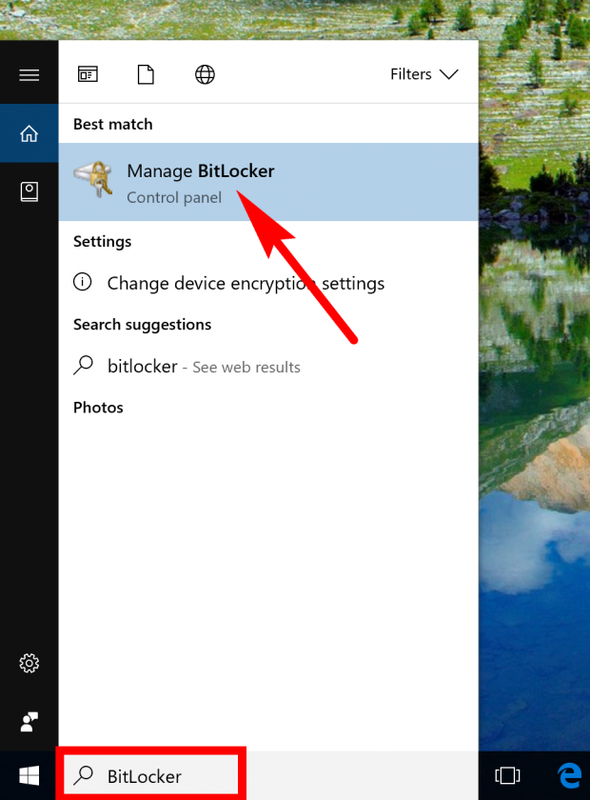 If you need to upgrade from Windows 10 Home to Windows 10 Pro, you can do so for $99, and then the BitLocker encryption is available for your computer. Conjointly, if you happen to own a MS Surface laptop, you can upgrade from Windows 10 Home to Windows 10 Pro for free up until the end of December this year. Before it goes ahead with encrypting the drive, it gives you the chance to choose to run the BitLocker system check. 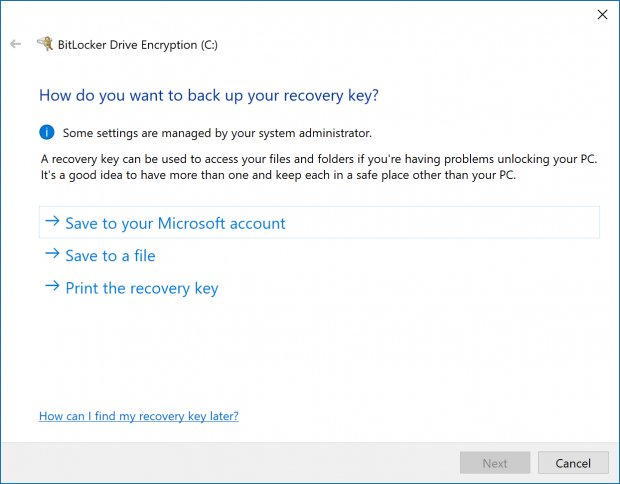 You have a recovery key that allows you to recover data should your drive become unusable and decryption fails. By running this system check, you make sure that the recovery option is going to work, so it’s an option we recommend doing before going ahead with the encryption. 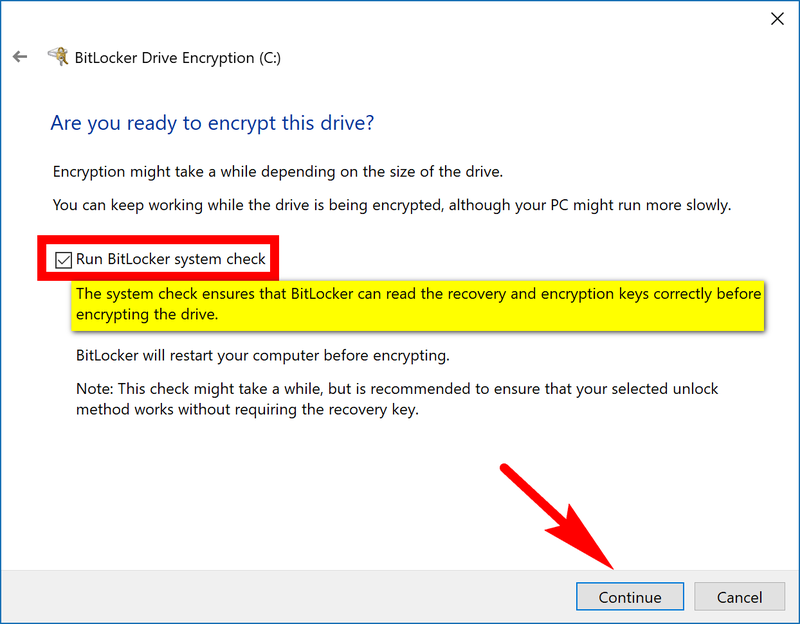 You’ll need to make sure you check the box available next to where it says “Run BitLocker system check” if you want it. 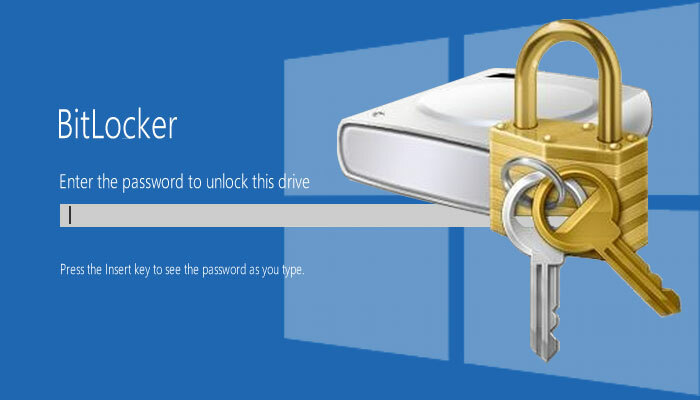 Click on the “Continue” button when you are ready to start the encryption of the drive. Ah, thieves, where would we be without them? Just kidding, the world would be great without them. The computer doesn’t have much value if people can’t get access to use its software and that’s why a stolen laptop is often just sold off for the hardware as spare parts. 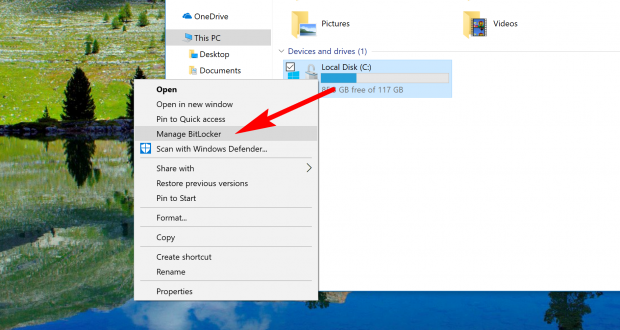 One of the things that is potentially valuable to a thief though is the hard drive. A hard drive could contain some valuable information that the thief can then use against you if they get their hands on it. Taking out a hard drive from a computer and putting it into another computer is something that thieves often do. 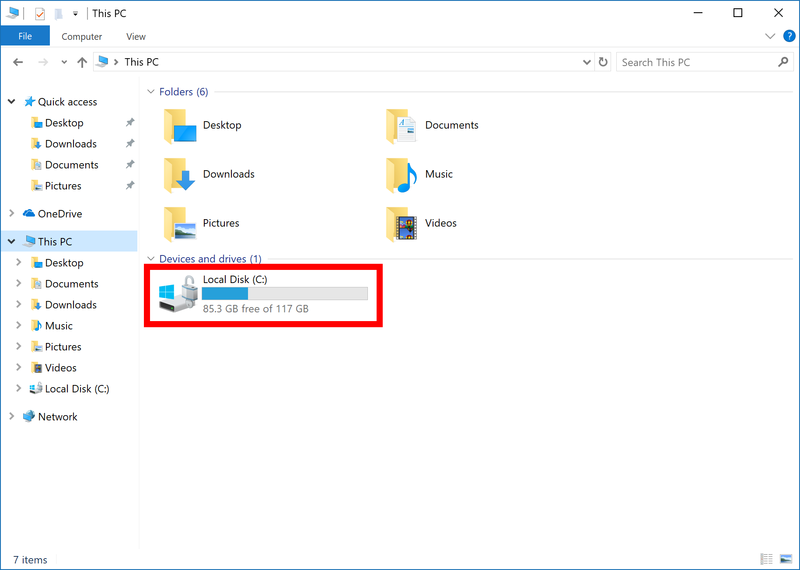 Without encryption on the hard drive, it is possible to view the contents of that hard drive on another computer. 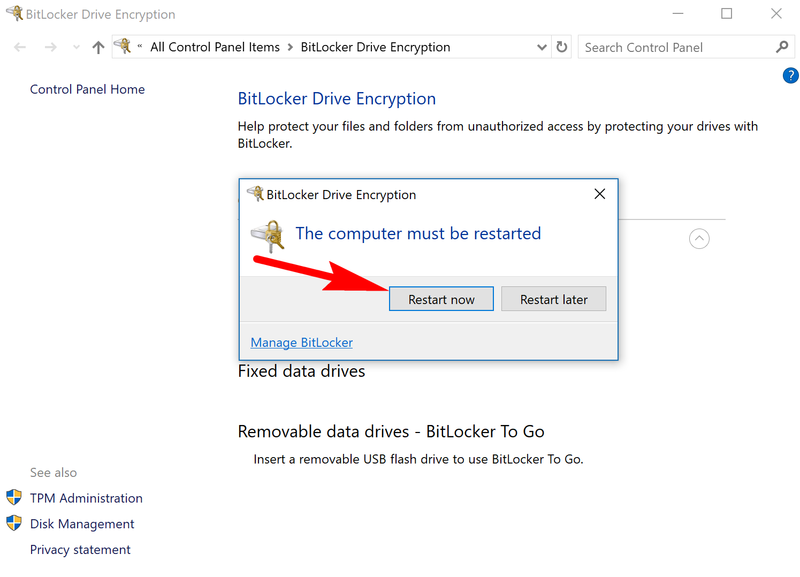 The way BitLocker works is you don’t need to enter a password each time you turn on the computer. All you do is keep logging into the computer using the same Microsoft account that you always have, and the BitLocker will be encrypting the drive because the TPM (Trusted Platform Module) has entered the password for you. 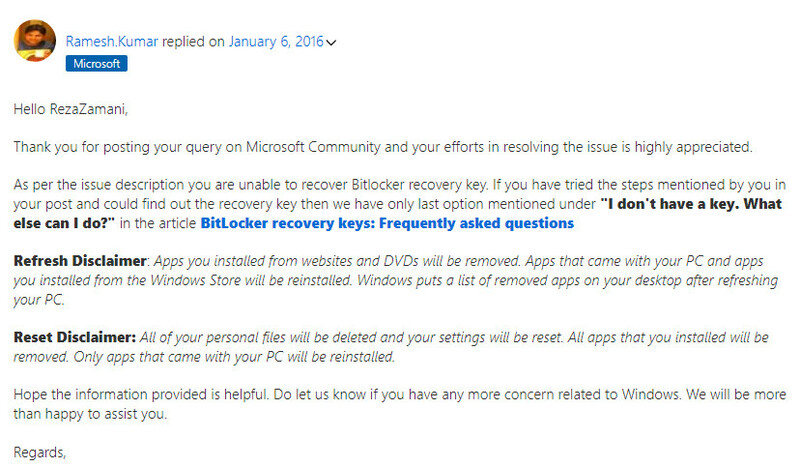 That makes BitLocker useless if your computer gets stolen and somebody guesses your Microsoft account password. What it does do, though, is prevent people from taking out the hard drive and putting it in another computer. That’s when the BitLocker encryption goes to work and stops people from reading your data—it’s also the main issue you face when someone steals your computer. It isn’t difficult to remove a hard drive if the thief knows what they are doing. 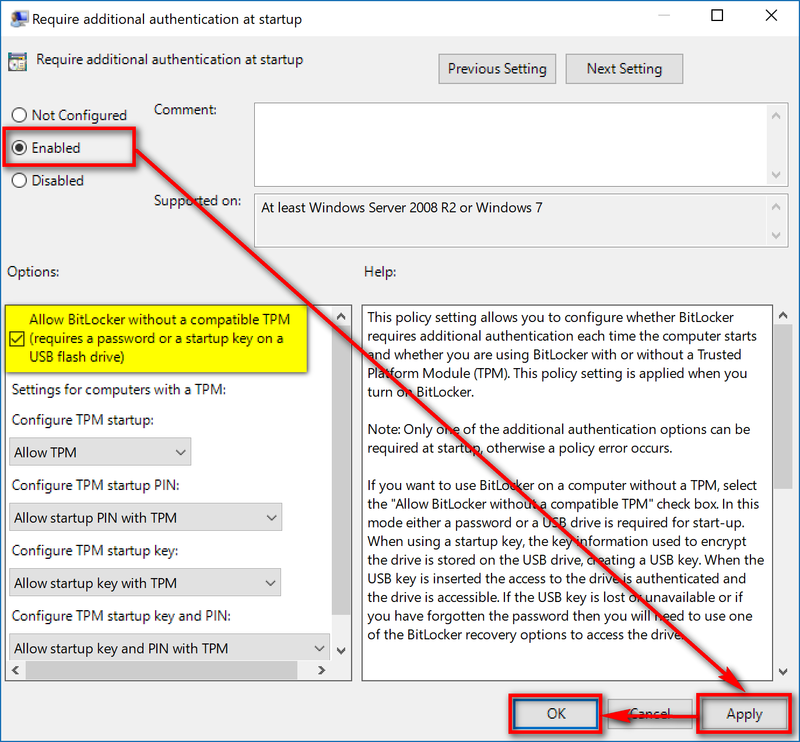 With that being understood, it is possible to change it so that you do require an additional password when booting up the computer which is going to be a password purely for additional BitLocker protection. The people who have computers without the TPM will always need to do this if they want encryption from BitLocker. The rest of you can opt to do this if even if your computer does have TPM if you like. 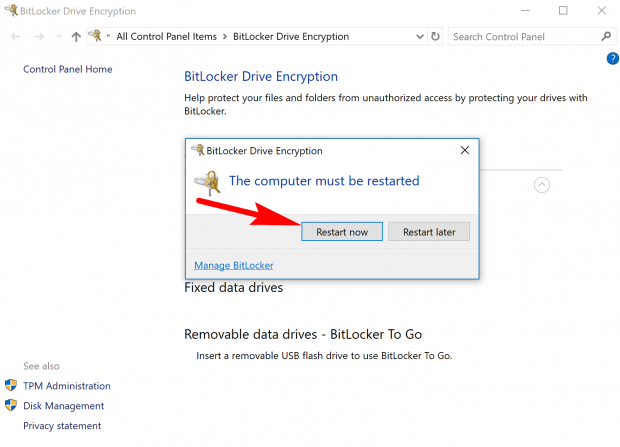 Being someone who has spent a substantial amount of time around non-geeks and older generations, I fear for the data of a lot of these people when something does go wrong with their computers, and they are unable to get a hold of the recovery keys should they be using BitLocker encryption. Heck, most of the people I know won’t even remember what the words “recovery key” mean 12 months from now let alone be able to find the all-important recovery key that they have just created. 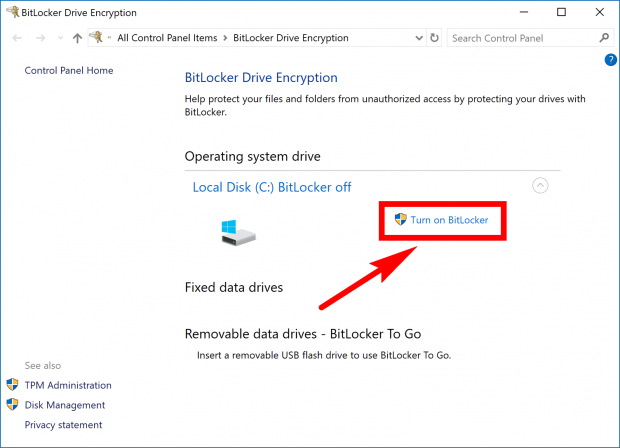 If you are one of those kinds of people, then encrypting your drives using BitLocker might not be the best idea and you might want to follow the part of the guide above that demonstrates how to turn it off only. 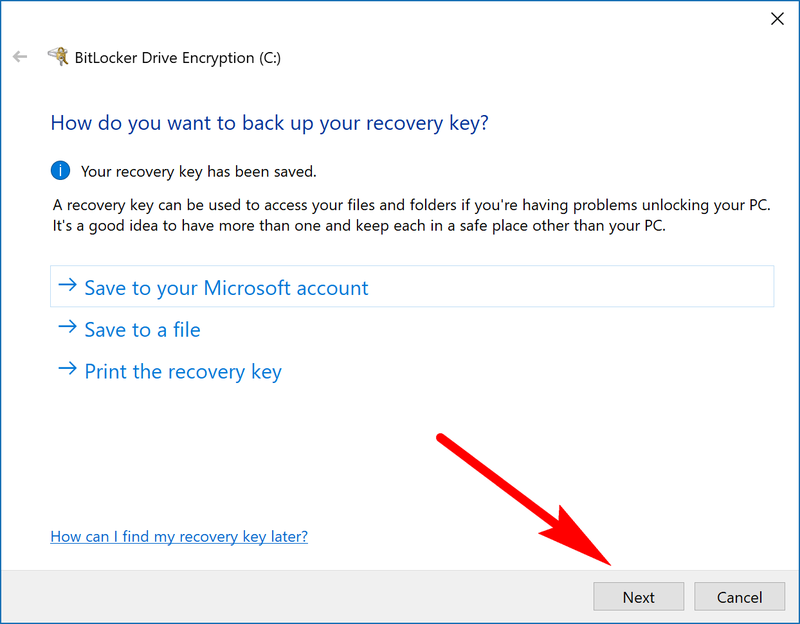 For everyone else: if you have valuable data that must be kept on your internal drives, feel free to use BitLocker—but make sure you remember where to find the recovery key that you saved just in case you need it. And just as importantly, make sure you don’t delete it.